I have only 5 days left before school starts, so I'm cramming in as many DIY projects as possible! Today on the House of Smiths blog, I saw this project and just loved it. 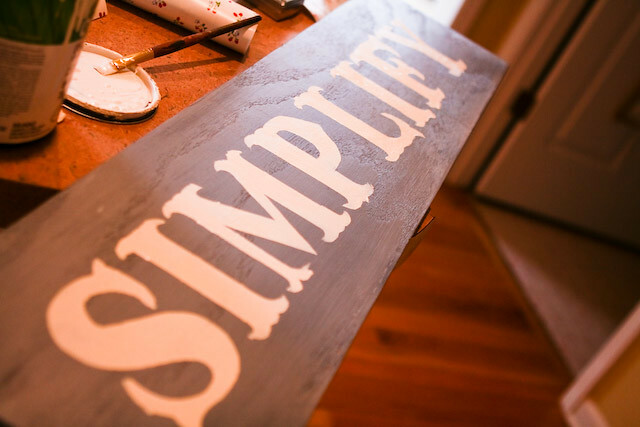 I remembered I had a similar piece of wood in our garage that was left over from another project, and I loved the sentiment of "simplify" in your home. Always a good reminder. So I mixed up a little grayish blue paint and painted my board. The board was 8 inches tall by 34 inches wide. Since I didn't have a vinyl decal and wanted it to look a little more rustic, I went out painting the words on in a different way. 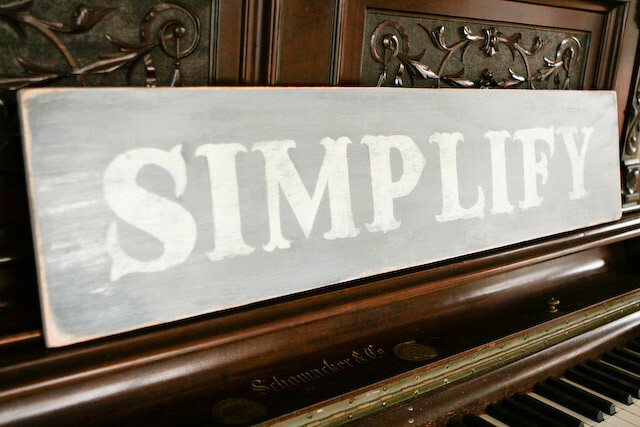 I first printed off the word "SIMPLIFY" through Photoshop so it would be big enough to fit my sign. Here comes the tedious part. Make sure you're in a good mood before you start this step. 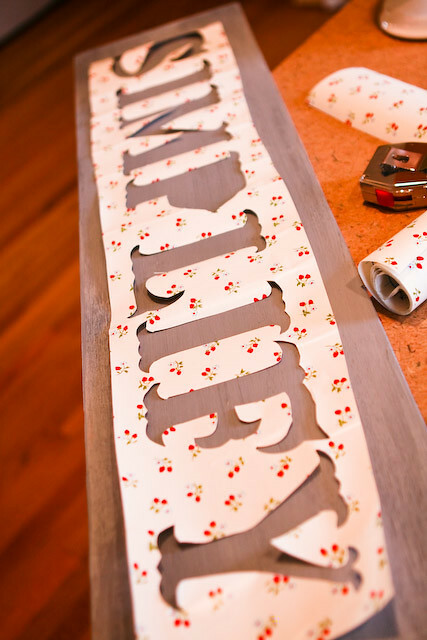 :) Tape the words onto a large piece of drawer liner. Yep - it was leftover from when we lined our kitchen cabinets and drawers. Then start cutting around each and every letter with an x-acto knife on a cutting make so you don't gouge the counters. This seems super tedious (and it is) but it actually only took about 15 minutes. 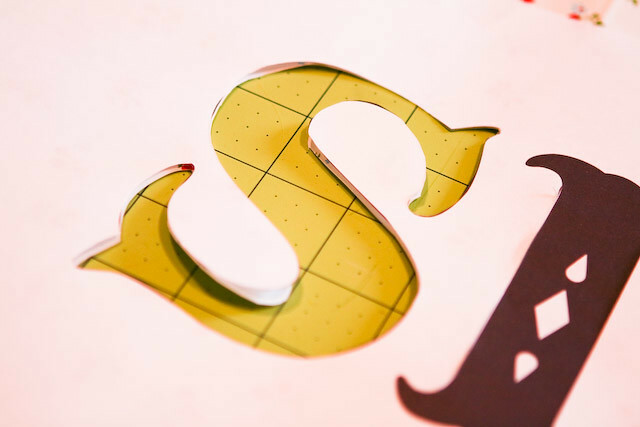 Once you've gotten your letters trimmed out, you're left with one giant sticker! Position it on your board where you want it, then peel the backing off so it sticks to your wood. This can also be a tricky step, so be patient. 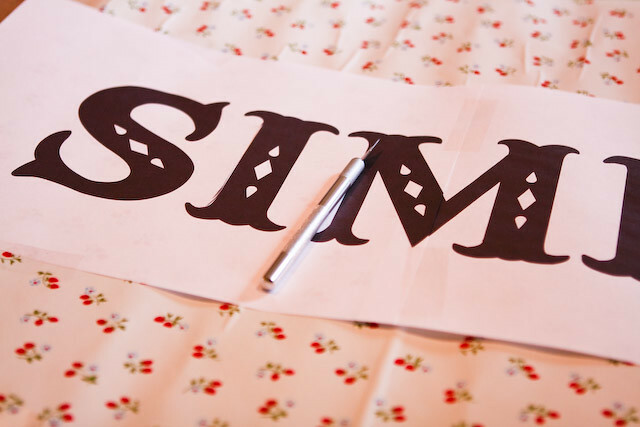 Once it's positioned, paint inside the letters. I find it's easier to paint a couple thin layers so it doesn't bleed too much near the outside of the letters. Wait for it to dry (unlike me) then peel off the sticker to reveal your work! As you can see, mine isn't perfect, but because I was going to weather it with a sander anyway, it didn't matter a lot. I did fix up some of the edges with some leftover gray paint I had mixed. When the letters are completely dry, it's time to sand. You can do this by hand, but it takes a lot less time with a sander. I sanded the edges as well as across my letters. 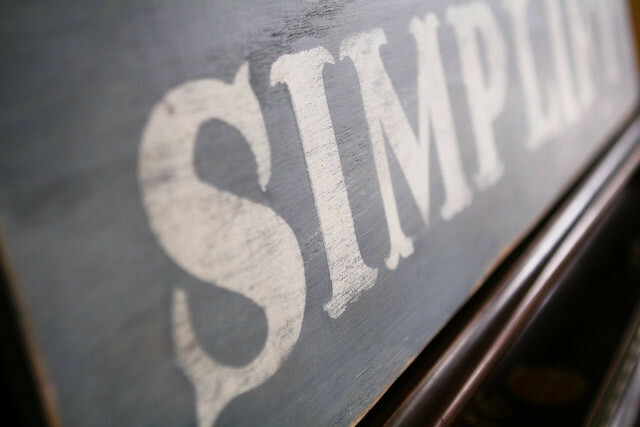 You can do as much or as little as you want on this step. 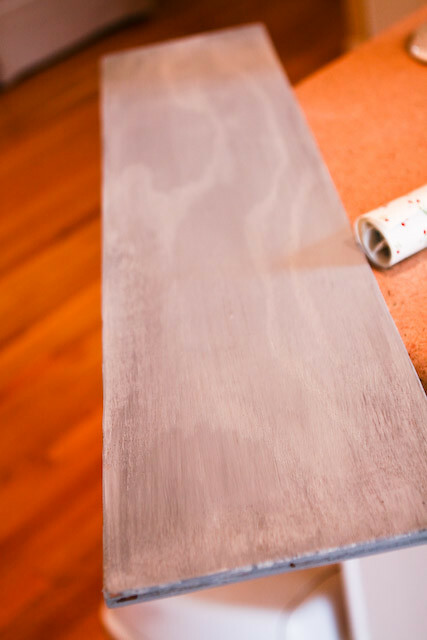 Finally, wipe away any sawdust with a damp rag, then finish it off with polyurethane and you're done! I love this weathered looking too! Very cute -- I love the color! you should sell these on etsy! i'll be the first to buy! Whitney, I agree with the others...please make more of these and sell them to your faithful readers :) so cute! best tutorial I've found! I don't have any of those fancy machines that do it all for you so this is perfect! thanks! 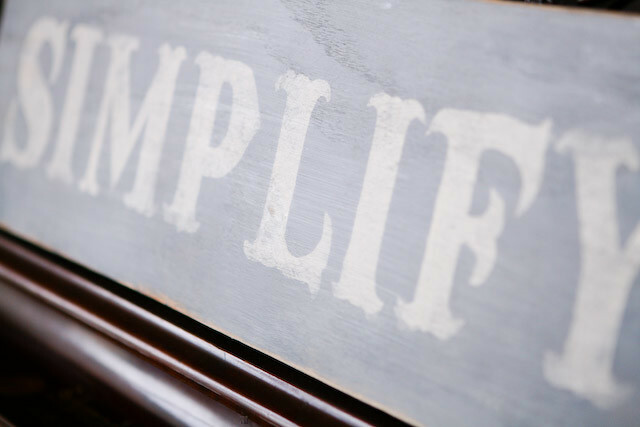 Some favorite blogs: Home edition. You could probably guess where I've been. John Broadman Ware, my Granddaddy. On my mind (in no particular order). I have one beautiful family. A little before and after.